Bollywood actor Ananya Panday hasn't made her debut yet, but the young starlet is already quite popular among cinegoers in the country. The star kid, who is veteran actor Chunky Panday's daughter, is all set to debut with 'Student of the Year 2', which also stars Tara Sutaria and Tiger Shroff. Ananya is pretty active on Instagram and she has over a million followers on the photo-sharing site. She always makes heads turn with her impeccable fashion sense and she recently made headlines when her next Bollywood project 'Pati Patni Aur Woh' opposite rumoured boyfriend Kartik Aaryan was announced. The film also stars Bhumi Pednekar in a leading role and the film is a remake of an old Bollywood classic with the same name. Ananya Panday and Kartik Aaryan sparked dating rumours when they were both seen together, post a reported dinner date. The two have since been spotted together a number of times. But Ananya Panday yesterday posted a picture on Instagram of herself spending some quality time with 'the only relationship that matters'. 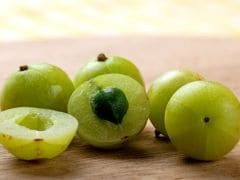 The young diva posted a picture of what looks like a pepperoni pizza on her Instagram stories, with the quirky caption that made us go 'LOL'. Who needs a significant other, when they have a delicious pizza? 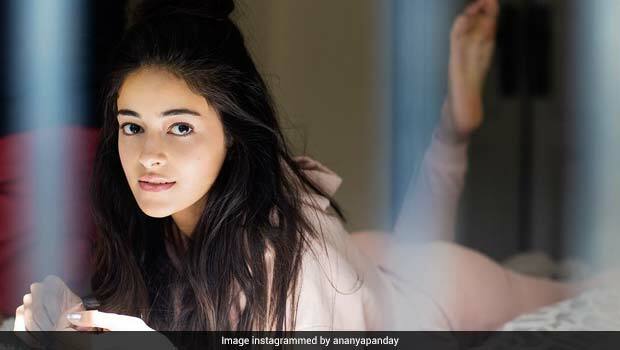 Ananya Panday is a self-proclaimed 'serial chiller' as her Instagram bio proclaims. The diva has also been spotted out and about with her bestie Suhana Khan and the two are often seen brunching on Sundays together at the popular restaurant, Bastian, in Mumbai. Panday is not known to follow any particular diet, but she is seen hitting the gym in order to keep herself in shape. She has been training under the well-known celebrity fitness trainer, Yasmin Karachiwala, who also trains stars like Katrina Kaif, Janhvi Kapoor and Malaika Arora Khan. 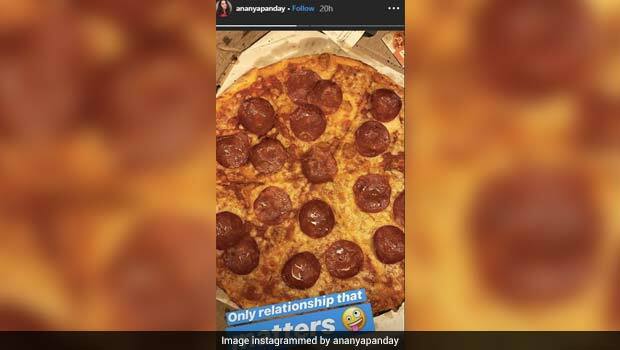 We bet Ananya has earned that pizza, after all!